The price for shipping products from the category "Tofu and sprouts" is increased by the cost of a termobox. We want you to receive a fresh and good product! - you can return it to us and we will give you PLN 20 in the form of a voucher for your next purchase. We care about the high quality of our products. 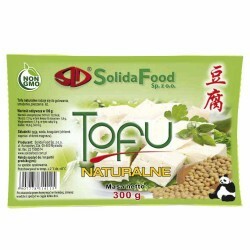 Tofu is produced from non-GM soybean in Mysiadło near Warsaw. 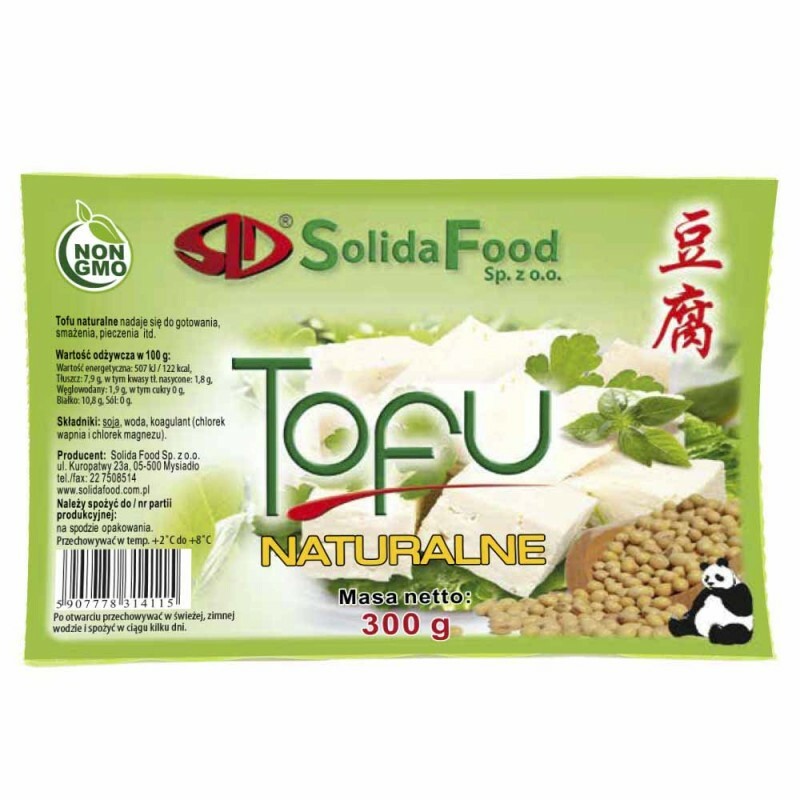 Tofu Solida Food is available in many stores throughout Poland. The most widely available are Carrefour, Kuchnie Świata. Tofu has many valuable nutrients. It is a valuable source of protein and plant unsaturated fats, a range of vitamins and minerals. 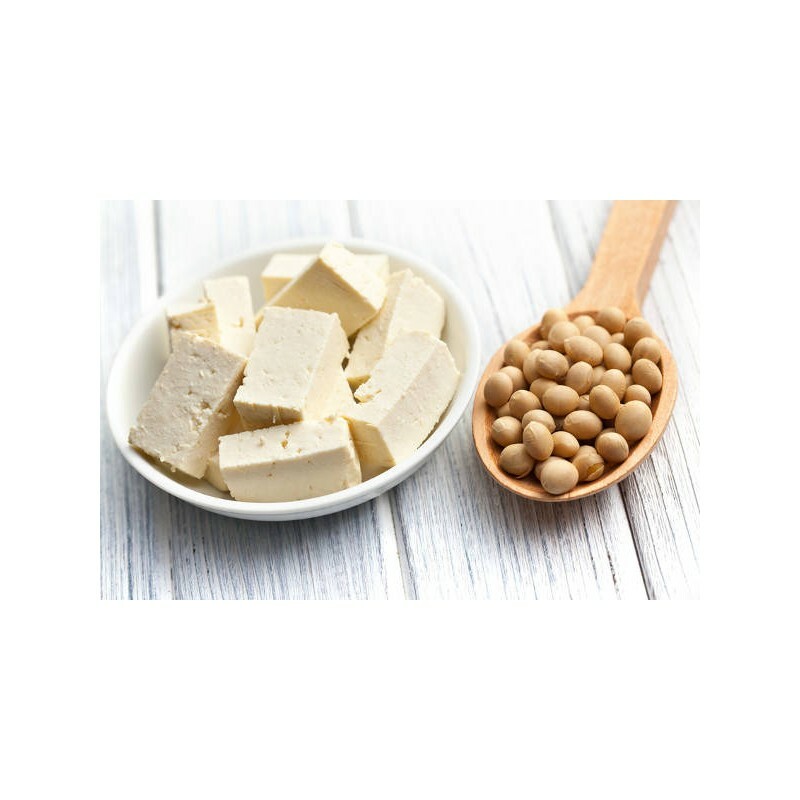 Soya bean is one of the low calorie products (100g depending on the type of tofu, only 122 calories), but at the same time for high saturated products. As it is a product of plant origin, it does not contain cholesterol. 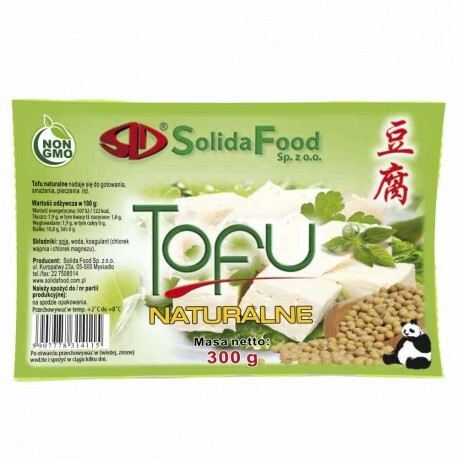 Tofu supplies the body with exogenous amino acids and linoleic acid and lecithin. 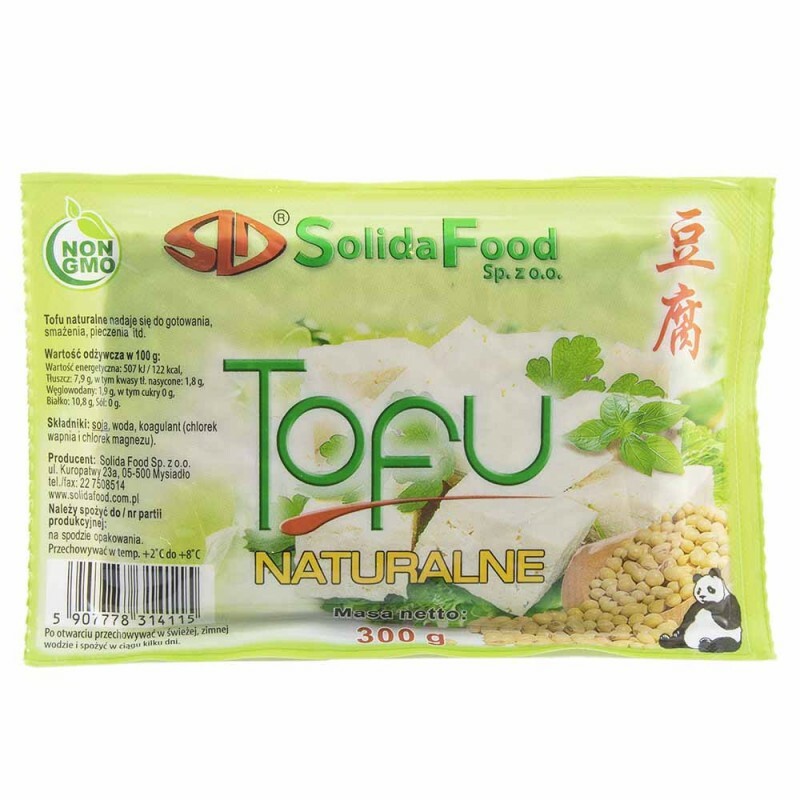 Tofu is a good source of minerals such as calcium, iron, potassium, phosphorus, magnesium, zinc, selenium, manganese, copper and vitamins: choline, B vitamins (B1, B2, B6, folic acid), vitamin A.
Tofu can be steamed, in sauces or fried. 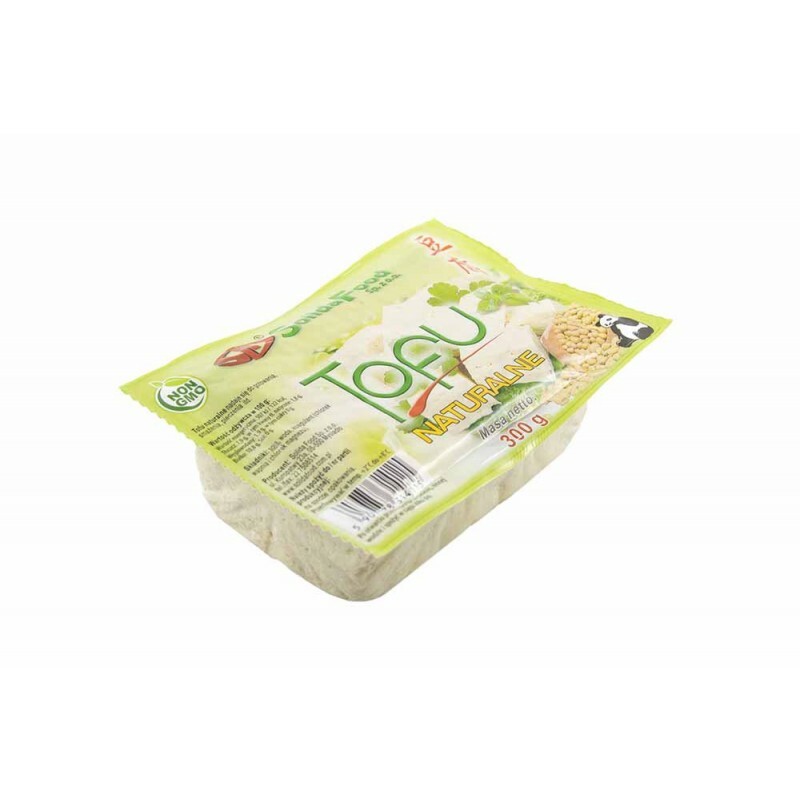 Traditional hard tofu that has gained popularity in Asia is less fragile and more compact. It is especially used as a food additive because it is well absorbed in pickles and spices.